Hope you’ve had a nice week, and a good halloween! 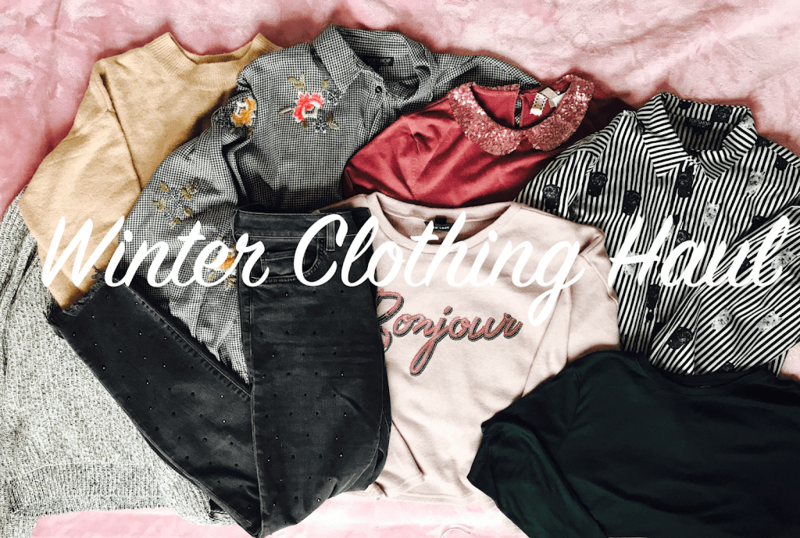 In this post I am going to show you my new winter clothing purchases, this mainly consists of jumpers with a few shirts and a pair of snazzy jeans. I have tried to link what I can but unfortunately I was not able to find everything so I added the most similar Item I could find and stated it is similar. First thing is this sparkly goldish jumper from H&M the glittery thread doesn’t really show up on camera but I assure you it’s glittery. I thought this would be perfect in the run up to Christmas. 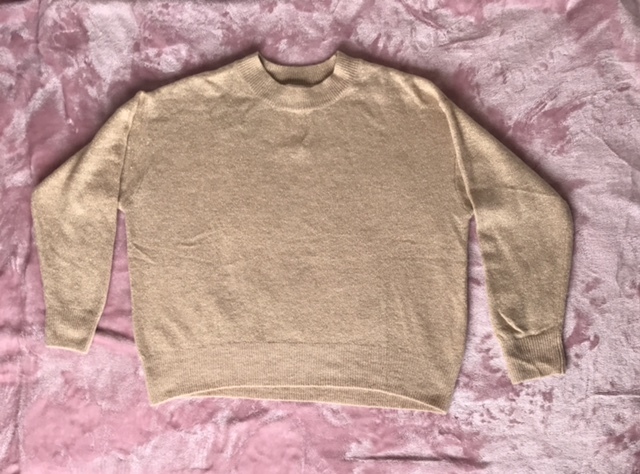 This is a H&M basics range jumper, it’s really soft and cosy! 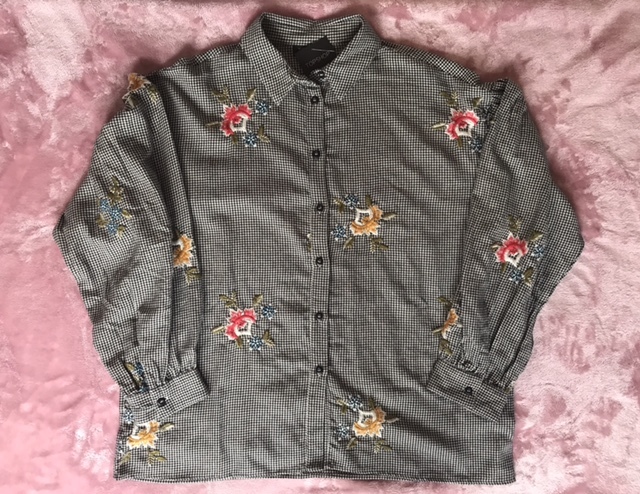 This is a kind of oversized shirt from Topshop with embroidered flowers. 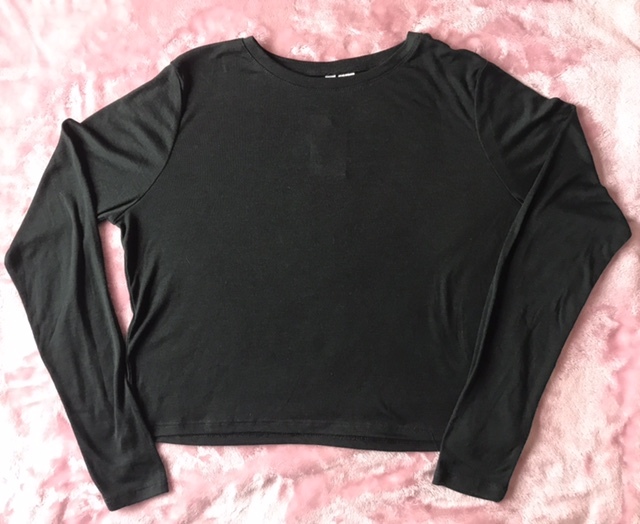 I love this shirt, it’s perfect to wear with another top underneath to layer up. You can get this here from Topshop – It also comes in tall and petite. 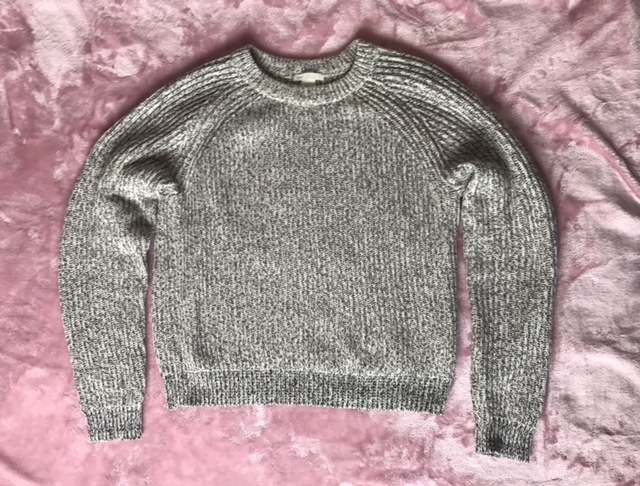 This jumper is from New Look it’s a cropped jumper and it’s so soft! I love wearing this with a high waisted pair of jeans. 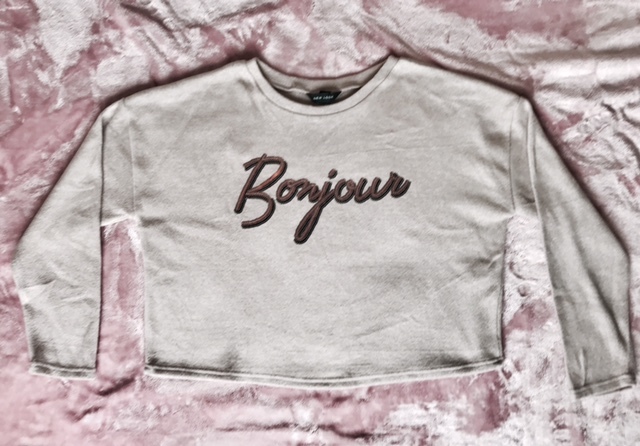 I know this jumper says bonjour in sequins but the font really reminds me of the Barbie logo. These are the snazzy jeans I spoke about earlier. 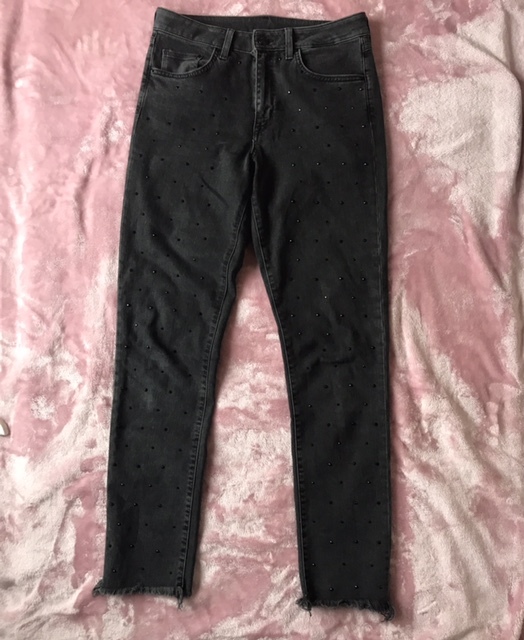 They are from H&M you can’t really see from the first photo but they are covered in little shiny studs which you can see from the second photo. 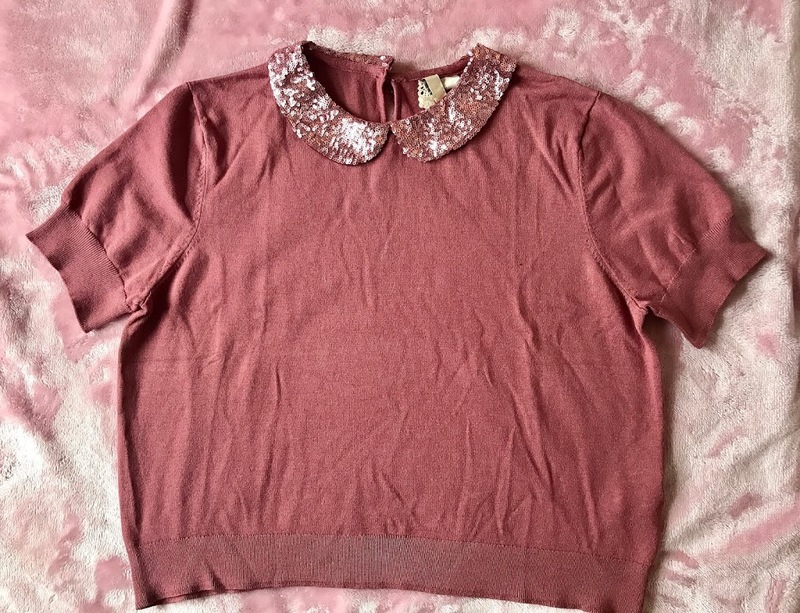 I love this as an outfit with the sparkly jumper above – I like my clothes to sparkle wherever I go especially in the run to Christmas! I’m not sure how well the studs will stay on I believe there just glued on and I think one has fallen off already. 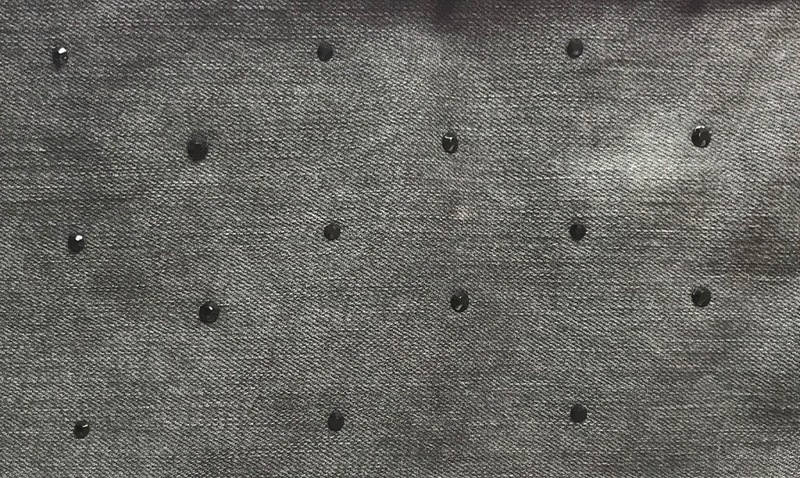 So I might search for some more black studs to replace them. This is just a plain green top from H&M basics but this is great for layering with pinafores or shirts. I like wearing pinafores in autumn and winter so basic long sleeved tops always come in useful. This is just a fairly simple jumper from H&M. I love wearing this with a largish statement necklace because I think it looks good with the high (almost turtle) neckline. This shirt was from Topshop. I really love dogs, so of course, I’m going to love this shirt! It has pugs and Yorkshire terriers on. You can get it here on Topshop – It also comes in petite. Thank you for reading, hope you enjoyed! Do you like any of the items I bought? Which is your favourite? 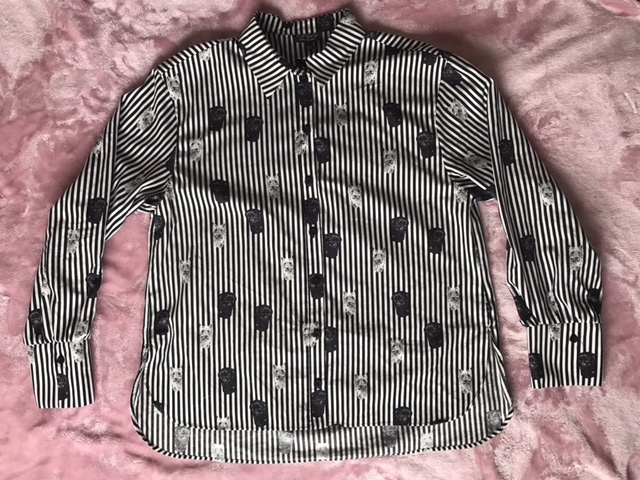 I think mine has to be the dog shirt! What’s your go to winter clothing item? I’d love to know in the comments below! 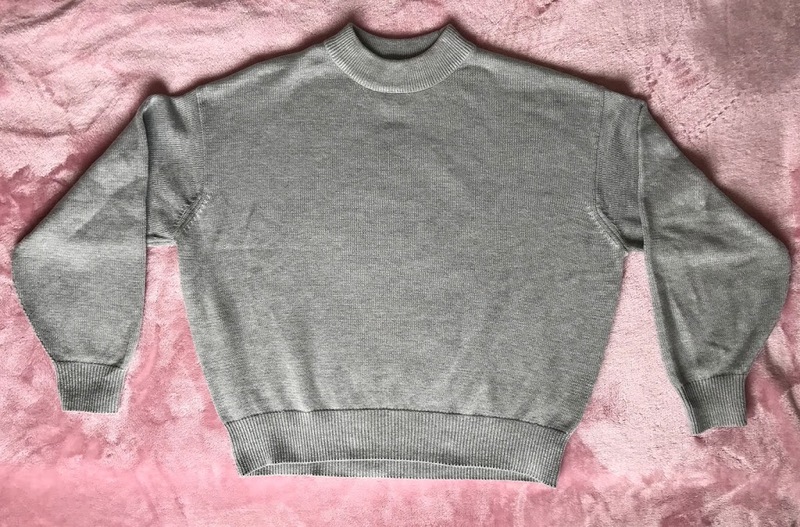 Oh I love that grey H&M jumper! That's such a nice staple piece. Thank you so much! It's really comfy!